Packing - Pack light, weather can be hot in summers. 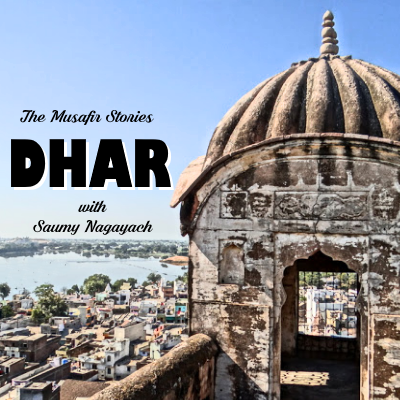 Start off with the majestic Dhar fort, built by Mohammed bin Tughluq, in the 14th century. The fort is built of red stone and is located on a small hill. The walls of the fort can easily be seen from a good distance. Check out the district archaelogical museum within the fort campus - it is one of the oldest museums in MP, built in the year 1902. Next stop is the Bhoj Shala, built by the great Raja Bhoj, is a center for learning. The pillars and walls have stone carvings and people say that Raja Bhoj had written some literature/grammar/poetics there.Some of the Sanskrit inscriptions of those times were found in 1903 by an expert and then he researched more about it and gave this place the name "Bhoj Shala". Lat Masjid is another point of interest which is unique in the sense that the mosque was built in 1405 by Dilawar Khan from the ruins of Hindu and Jain temples. An iron pillar used to be there which is now broken and is displayed outside the Mosque (the mosque is named after this iron "lat" pillar). Don't forget to grab some poha and poha jalebi for the road! A novice photographer, an enthusiastic blogger and an IT Engineer by profession. Saumy also loves to write poems and tell stories around pictures. Photos featured in: National Geographic Traveller India Well known Instagram accounts like Maharashtraig, SplendidIndia, Discover_India. Some of the best Travel/Photography Blogs of India.